Is your ability to communicate and explain your ideas, thoughts and beliefs enhanced during this transit or not? It’s a time when attention to small matters can bring progress … even if resources are meager. Your perseverance can bring form to great accomplishments. The power of the small is signified by slow and steady progress, and ultimately succeeds. The wise person recognizes and accepts the nature of the time. Know your role, attend to details and act with humility. Caution, patience and detail produce excellence out of limitation. You can achieve success, even with few resources. Gate 62 is also a cross-species gate bringing the potential to communicate and train animals. This Gate is part of the Channel of Acceptance, A Design of An Organizational Being, linking The Throat Center (Gate 62) with the Ajna (Gate 17). 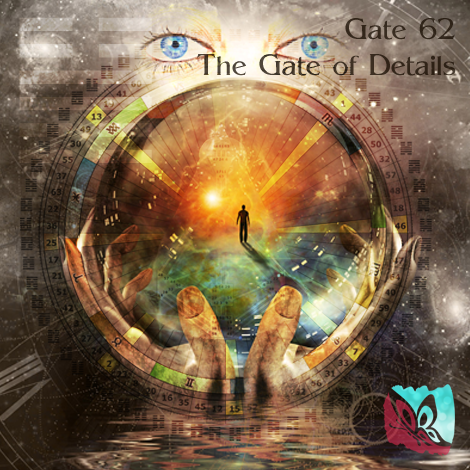 Gate 62 is part of the Collective Understanding (Logic) Circuit with the keynote of sharing. In Human Design, Solar Transits reflect the impact the Sun is having on humanity as it moves through the Gates and Lines of the Mandala (64 Gates and 384 Lines). Transits are potentials that you may see in others and the world around you, and, may become a part of your experience as well. Not everyone experiences these energies … and if we do, we experience them filtered through our own unique Human Design. Would you like more information on Human Design? You’re invited to visit and like my Facebook page Embrace Human Design. Feel free to post comments and ask questions there. 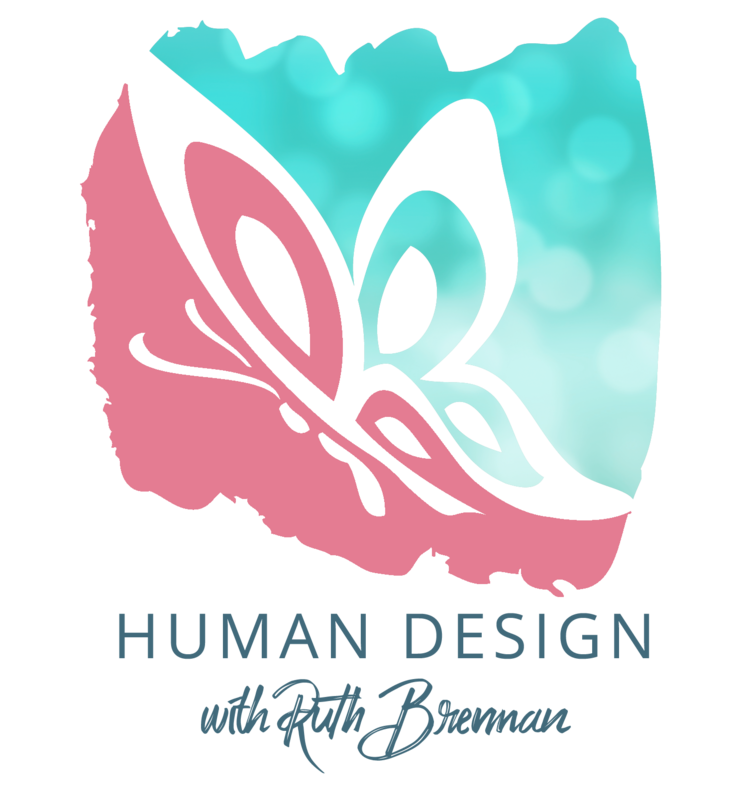 Ruth Brennan is an IHDS Certified Professional Analyst, Living Your Design Guide and Certified BG5 Career & Business Consultant who lives in Vancouver, Washington. This transit brings us the energy of caring and nourishing. At its highest expression this is the energy of compassion for others … and remembering that self-care comes first. It’s usually easy to have compassion for those we care about. But how compassionate are you with yourself? Consider finding something that nourishes your soul and brings you joy. Then, love yourself enough to make room for it in your life. Being full of joy can nourish everyone around you in the very best way. There are so very many ways to nourish yourself and others ... good food, loving touch, kind words ... the composer of an inspiring piece of music also provides nourishment — to humanity in general — by caring deeply and offering their creativity to the world. So, how do your thoughts shape and nurture your experience of life? Can you look inside yourself to see if your thoughts affect what’s happening outside of yourself? Do your thoughts focus on the belief that life is working for you or against you? What we think about colors the environment we meet. This may be a time to examine your motivations, thoughts and actions so that you can move in sync with what you want to create to nourish yourself and be full of joy. Smile and watch how the world responds. Be open to life’s benevolence and allow it to fill you. In Human Design, Solar Transits reflect the impact the Sun is having on humanity as it moves through the Gates and Lines of the Mandala (64 Gates and 384 Lines). Transits are potentials that you may see in others and the world around you, and, may become a part of your experience as well. The birth of a new venture or relationship is a STEP INTO THE UNKNOWN. While the unknown may seem overwhelming and chaotic, chaos be can a powerful force when you harness it. Stay calm and be ready to persevere, as you take your first steps. We plant a seed and care for it while we wait patiently for it to grow. Events peel away the seed's protective husk when it is time to blossom. Things that appear as obstacles may actually be nurturing and necessary for blooming. Proper timing allows for the seedling to be protected while it begins its evolution into a blossom or plant that flourishes. At times we face what appears to be an obstacle, yet circumstances are merely breaking away our protective covering. You need not be frightened of cultivating your strength of purpose. Difficulty nurtures and stabilizes you when you can see obstacles as opportunities rather than barriers. Is it possible that life wants to set you free and is prodding you into being the best you can be? Holding to a vision of being the best that you can be, nothing ever comes to block your way. It comes to help you stronger and to assist your evolution or mutation. A difficult beginning is how nature takes note of what is emerging and works to test and strengthen it. This creative life force energy, when harnessed, can help us to transcend confusion and create order so that something new and potentially viable can take hold in the world. This can empower us and potentially empower others. If we don't wait for the right timing, for the structures needed for true mutation to settle into place, our enthusiasm for change will simply destabilize those around us, rather than empower and influence them. To schedule a reading or for more information contact ruth@embraceflux.com or call 360.831.2578. Are you curious about your Human Design? Get a Free Chart and book your free 15-minute Chart review!